Get the set and have a mother and a baby to keep each other company! 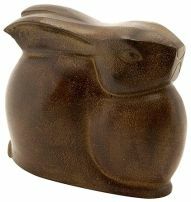 These little bunnies are a splendid addition to any rabbit enthusiasts collection. Get the set and have a mother and a baby to keep each other company!